A few words about me and my work and how you can contact me or send an inquiry. So please get in touch if you have any questions at all. I love talking with people about the craft that I do and I love Poconos! Please contact me to add your business to our list and get popular among Pocono Mountain visitors. i! 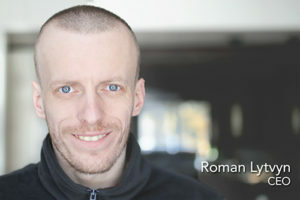 I am Roman. I am a photographer (I bet you already know that). I have been taking pictures since I was 10 years old. My family is supporting me all the time. My 4 year old daughter is always trying to hide my lens or an SD card, making life even more fun. My wife helps me with most of my projects. Im also a big time outdoorsmen and i love nature. Speaking about my life in a brief way: School – Camera, College – Camera, University – Camera, Marriage – Camera, First Child – Camera. Through all those years i was lucky enough to arm myself with the best quality equipment available on the market. Thanks to those tools i am able to provide exceptional quality for every project i do. If you want to know more about my gear and how i use it , feel free to ask me, i love sharing my knowledge with others. If you want to learn more, sign up for my workshop. I do magics in visual editing, that is so much fun to turn one picture into something awesome. You don’t like a little wrinkle on your dress – no problem, or maybe you would like to change that background completely – no problem too. I understand that every project I get from any of my clients is unique and I do whatever it takes to make it look great: either taking a picture sitting next to a stinky piglet or climbing a high ladder (just to let you know, I am afraid of heights) I will do everything so you will be in love with the results. I love photography as you have probably noticed from my life story, but clients, that’s what makes it so special, I have made many good friends during all of my projects and that is priceless. I believe that Poconos are the best place on Earth to visit and thats the reason this website exists.